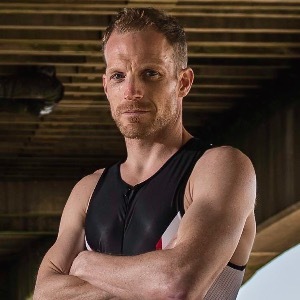 As a professional coach with 20 years experience, Phil (43) works with triathletes, duathletes, cyclists and runners from all over the world. His passion is helping athletes successfully combine their sport, family-life and career without compromise. He is the founder of My Pro Coach Ltd, one of the world's most successful endurance sports coaching companies. Before that he spent seven years as Coaching Editor of Triathlon Plus Magazine in the UK and has written hundreds of expert features for respected names such as Runners World, Training Peaks, Ironman, Cycling Plus and Triathletes World. As a working Dad, Phil completed IRONMAN Barcelona in 8 hours 55 minutes and placed 7th overall at IRONMAN 70.3 UK. He is a multiple national age group champion in triathlon and duathlon. He has run 1:11 for a half marathon and cycled 25 miles (40km) in 52 minutes. Phil has designed over 200 beginner, intermediate and advanced training plans, which are available via the Training Peaks store. If you have any questions about your training plan, Phil and his coaching team are always on hand to answer them. You can also access the My Pro Coach Help Centre, which includes articles and videos to help you train effectively and easily. Which plan would suit you best? Please email us to find out: info@myprocoach.net. Or browse our website at www.myprocoach.net. Success. Coach Phil Mosley has been notified of your message. Phil's Advanced BOOST YOUR FTP in the OFF SEASON + Email Access to Coach. 04 Weeks. Phil's Advanced BOOST YOUR FTP in the OFF SEASON + Email Access to Coach. 08 Weeks. Phil's Advanced BOOST YOUR FTP in the OFF SEASON + Email Access to Coach. 12 Weeks. Phil's Advanced BOOST YOUR FTP in the OFF SEASON + Email Access to Coach. 16 Weeks. Phil's Advanced BUILD YOUR FTP + Email Access to Coach. 40 Weeks (5-7 workouts/wk). Phil's Advanced BUILD YOUR FTP + Email Access to Coach. 20 Weeks (5-7 workouts/wk). Phil's Advanced BUILD YOUR FTP + Email Access to Coach. 24 Weeks (5-7 workouts/wk). Phil's Advanced BUILD YOUR FTP + Email Access to Coach. 28 Weeks (5-7 workouts/wk). Phil's Advanced BUILD YOUR FTP + Email Access to Coach. 32 Weeks (5-7 workouts/wk). Phil's Advanced BUILD YOUR FTP + Email Access to Coach. 36 Weeks (5-7 workouts/wk). Phil's BASE TO RACE Advanced Century/Gran Fondo + Email Access to Coach. 20 Week. 5-7 workouts/wk. Phil's BASE TO RACE Advanced Century/Gran Fondo + Email Access to Coach. 24 Week. 5-7 workouts/wk. Phil's BASE TO RACE Advanced Century/Gran Fondo + Email Access to Coach. 28 Week. 5-7 workouts/wk. Phil's BASE TO RACE Advanced Century/Gran Fondo + Email Access to Coach. 32 Week. 5-7 workouts/wk. Phil's BASE TO RACE Advanced Century/Gran Fondo + Email Access to Coach. 36 Week. 5-7 workouts/wk. Phil's BASE TO RACE Advanced Century/Gran Fondo + Email Access to Coach. 40 Week. 5-7 workouts/wk. Phil's BASE TO RACE Intermediate Century/Gran Fondo + Email Access to Coach. 20 Week. Phil's BASE TO RACE Intermediate Century/Gran Fondo + Email Access to Coach. 24 Week. Phil's BASE TO RACE Intermediate Century/Gran Fondo + Email Access to Coach. 28 Week. Phil's BASE TO RACE Intermediate Century/Gran Fondo + Email Access to Coach. 32 Week. Phil's BASE TO RACE Intermediate Century/Gran Fondo + Email Access to Coach. 40 Week. Phil's BASE TO RACE Novice Century/Gran Fondo + Email Access to Coach. 20 Week. 4-5 workouts/wk. Phil's BASE TO RACE Novice Century/Gran Fondo + Email Access to Coach. 24 Week. 4-5 workouts/wk. Phil's BASE TO RACE Novice Century/Gran Fondo + Email Access to Coach. 28 Week. 4-5 workouts/wk. Phil's BASE TO RACE Novice Century/Gran Fondo + Email Access to Coach. 32 Week. 4-5 workouts/wk. Phil's BASE TO RACE Novice Century/Gran Fondo + Email Access to Coach. 36 Week. 4-5 workouts/wk. Phil's BASE TO RACE Novice Century/Gran Fondo + Email Access to Coach. 40 Week. 4-5 workouts/wk. Phil's Intermediate BOOST YOUR FTP in the OFF SEASON + Email Access to Coach. 04 Week. Phil's Intermediate BOOST YOUR FTP in the OFF SEASON + Email Access to Coach. 06 Week. Phil's Intermediate BOOST YOUR FTP in the OFF SEASON + Email Access to Coach. 12 Week. Phil's Intermediate BOOST YOUR FTP in the OFF SEASON + Email Access to Coach. 16 Week. Phil's Intermediate BUILD YOUR FTP + Email Access to Coach. 20 Week. (4-6 workouts/wk). Phil's Intermediate BUILD YOUR FTP + Email Access to Coach. 28 Week. (4-6 workouts/wk). Phil's Intermediate BUILD YOUR FTP + Email Access to Coach. 32 Week. (4-6 workouts/wk). Phil's Intermediate BUILD YOUR FTP + Email Access to Coach. 36 Week. (4-6 workouts/wk). Phil's Intermediate BUILD YOUR FTP + Email Access to Coach. 40 Week. (4-6 workouts/wk). Phil's Novice BOOST YOUR FTP in the OFF SEASON + Email Access to Coach. 04 Week. Phil's Novice BOOST YOUR FTP in the OFF SEASON + Email Access to Coach. 08 Week. Phil's Novice BOOST YOUR FTP in the OFF SEASON + Email Access to Coach. 12 Week. Phil's Novice BUILD YOUR FTP + Email Access to Coach. 16 Week. 3-5 workouts/wk. Phil's Novice BUILD YOUR FTP + Email Access to Coach. 20 Week. 3-5 workouts/wk. Phil's Novice BUILD YOUR FTP + Email Access to Coach. 24 Week. 3-5 workouts/wk. Phil's Novice BUILD YOUR FTP + Email Access to Coach. 28 Week. 3-5 workouts/wk. Phil's Novice BUILD YOUR FTP + Email Access to Coach. 32 Week. 3-5 workouts/wk. Phil's Novice BUILD YOUR FTP + Email Access to Coach. 36 Week. 3-5 workouts/wk. Phil's Novice BUILD YOUR FTP + Email Access to Coach. 40 Week. 3-5 workouts/wk. Phil's Advanced Century/Gran Fondo + Email Access to Coach. 06 Week. 5-7 workouts/wk. Phil's Advanced Century/Gran Fondo + Email Access to Coach. 08 Week. 5-7 workouts/wk. Phil's Advanced Century/Gran Fondo + Email Access to Coach. 10 Week. 5-7 workouts/wk. Phil's Advanced Century/Gran Fondo + Email Access to Coach. 12 Week. 5-7 workouts/wk. Phil's Advanced Century/Gran Fondo + Email Access to Coach. 14 Week. 5-7 workouts/wk. Phil's Advanced Century/Gran Fondo + Email Access to Coach. 16 Week. 5-7 workouts/wk. Phil's Advanced Century/Gran Fondo + Email Access to Coach. 18 Week. 5-7 workouts/wk. Phil's Advanced Century/Gran Fondo + Email Access to Coach. 20 Week. 5-7 workouts/wk. Phil's Advanced Century/Gran Fondo + Email Access to Coach. 24 Week. 5-7 workouts/wk. Phil's Advanced Century/Gran Fondo + Email Access to Coach. 28 Week. 5-7 workouts/wk. Phil's Advanced Century/Gran Fondo + Email Access to Coach. 32 Week. 5-7 workouts/wk. Phil's Advanced Century/Gran Fondo + Email Access to Coach. 36 Week. 5-7 workouts/wk. Phil's Advanced Century/Gran Fondo + Email Access to Coach. 40 Week. 5-7 workouts/wk. Phil's Intermediate Century/Gran Fondo + Email Access to Coach. 06 Week. 4-6 workouts/wk. Phil's Intermediate Century/Gran Fondo + Email Access to Coach. 08 Week. 4-6 workouts/wk. Phil's Intermediate Century/Gran Fondo + Email Access to Coach. 10 Week. 4-6 workouts/wk. Phil's Intermediate Century/Gran Fondo + Email Access to Coach. 12 Week. 4-6 workouts/wk. Phil's Intermediate Century/Gran Fondo + Email Access to Coach. 14 Week. 4-6 workouts/wk. Phil's Intermediate Century/Gran Fondo + Email Access to Coach. 16 Week. 4-6 workouts/wk. Phil's Intermediate Century/Gran Fondo + Email Access to Coach. 18 Week. 4-6 workouts/wk. Phil's Intermediate Century/Gran Fondo + Email Access to Coach. 20 Week. 4-6 workouts/wk. Phil's Intermediate Century/Gran Fondo + Email Access to Coach. 24 Week. 4-6 workouts/wk. Phil's Intermediate Century/Gran Fondo + Email Access to Coach. 28 Week. 4-6 workouts/wk. Phil's Intermediate Century/Gran Fondo + Email Access to Coach. 32 Week. 4-6 workouts/wk. Phil's Intermediate Century/Gran Fondo + Email Access to Coach. 36 Week. 4-6 workouts/wk. Phil's Intermediate Century/Gran Fondo + Email Access to Coach. 40 Week. 4-6 workouts/wk. Phil's Novice Century/Gran Fondo + Email Access to Coach. 06 Week. 4-5 workouts/wk. Phil's Novice Century/Gran Fondo + Email Access to Coach. 08 Week. 4-5 workouts/wk. Phil's Novice Century/Gran Fondo + Email Access to Coach. 10 Week. 4-5 workouts/wk. Phil's Novice Century/Gran Fondo + Email Access to Coach. 12 Week. 4-5 workouts/wk. Phil's Novice Century/Gran Fondo + Email Access to Coach. 14 Week. 4-5 workouts/wk. Phil's Novice Century/Gran Fondo + Email Access to Coach. 16 Week. 4-5 workouts/wk. Phil's Novice Century/Gran Fondo + Email Access to Coach. 18 Week. 4-5 workouts/wk. Phil's Novice Century/Gran Fondo + Email Access to Coach. 20 Week. 4-5 workouts/wk. Phil's Novice Century/Gran Fondo + Email Access to Coach. 24 Week. 4-5 workouts/wk. Phil's Novice Century/Gran Fondo + Email Access to Coach. 28 Week. 4-5 workouts/wk. Phil's Novice Century/Gran Fondo + Email Access to Coach. 32 Week. 4-5 workouts/wk. Phil's Novice Century/Gran Fondo + Email Access to Coach. 36 Week. 4-5 workouts/wk. Phil's Novice Century/Gran Fondo + Email Access to Coach. 40 Week. 4-5 workouts/wk. Phil's Advanced RAPID FTP BOOSTER + Email Access to Coach. 04 Weeks (5-7 workouts/wk). Phil's Advanced RAPID FTP BOOSTER + Email Access to Coach. 06 Weeks (5-7 workouts/wk). Phil's Advanced RAPID FTP BOOSTER + Email Access to Coach. 08 Weeks (5-7 workouts/wk). Phil's Advanced RAPID FTP BOOSTER + Email Access to Coach. 12 Weeks (5-7 workouts/wk). Phil's Advanced RAPID FTP BOOSTER + Email Access to Coach. 14 Weeks (5-7 workouts/wk). Phil's Advanced RAPID FTP BOOSTER + Email Access to Coach. 16 Weeks (5-7 workouts/wk). Phil's Advanced RAPID FTP BOOSTER + Email Access to Coach. 18 Weeks (5-7 workouts/wk). Phil's Advanced RAPID FTP BOOSTER + Email Access to Coach. 20 Weeks (5-7 workouts/wk). Phil's Advanced RAPID FTP BOOSTER + Email Access to Coach. 24 Weeks (5-7 workouts/wk). Phil's Advanced RAPID FTP BOOSTER + Email Access to Coach. 28 Weeks (5-7 workouts/wk). Phil's Advanced RAPID FTP BOOSTER + Email Access to Coach. 32 Weeks (5-7 workouts/wk). Phil's Advanced RAPID FTP BOOSTER + Email Access to Coach. 36 Weeks (5-7 workouts/wk). Phil's Advanced RAPID FTP BOOSTER + Email Access to Coach. 40 Weeks (5-7 workouts/wk). Phil's Intermediate BOOST YOUR FTP in the OFF SEASON + Email Access to Coach. 10 Week. Phil's Intermediate RAPID FTP BOOSTER + Email Access to Coach. 04 Week. (4-6 workouts/wk). Phil's Intermediate RAPID FTP BOOSTER + Email Access to Coach. 06 Week. (4-6 workouts/wk). Phil's Intermediate RAPID FTP BOOSTER + Email Access to Coach. 08 Week. (4-6 workouts/wk). Phil's Intermediate RAPID FTP BOOSTER + Email Access to Coach. 10 Week. (4-6 workouts/wk). Phil's Intermediate RAPID FTP BOOSTER + Email Access to Coach. 12 Week. (4-6 workouts/wk). Phil's Intermediate RAPID FTP BOOSTER + Email Access to Coach. 14 Week. (4-6 workouts/wk). Phil's Intermediate RAPID FTP BOOSTER + Email Access to Coach. 16 Week. (4-6 workouts/wk). Phil's Intermediate RAPID FTP BOOSTER + Email Access to Coach. 18 Week. (4-6 workouts/wk). Phil's Intermediate RAPID FTP BOOSTER + Email Access to Coach. 20 Week. (4-6 workouts/wk). Phil's Intermediate RAPID FTP BOOSTER + Email Access to Coach. 24 Week. (4-6 workouts/wk). Phil's Intermediate RAPID FTP BOOSTER + Email Access to Coach. 28 Week. (4-6 workouts/wk). Phil's Intermediate RAPID FTP BOOSTER + Email Access to Coach. 32 Week. (4-6 workouts/wk). Phil's Intermediate RAPID FTP BOOSTER + Email Access to Coach. 36 Week. (4-6 workouts/wk). Phil's Intermediate RAPID FTP BOOSTER + Email Access to Coach. 40 Week. (4-6 workouts/wk). Phil's Novice BOOST YOUR FTP in the OFF SEASON + Email Access to Coach. 10 Week. Phil's Novice RAPID FTP BOOSTER + Email Access to Coach. 04 Week. 3-5 workouts/wk. Phil's Novice RAPID FTP BOOSTER + Email Access to Coach. 06 Week. 3-5 workouts/wk. Phil's Novice RAPID FTP BOOSTER + Email Access to Coach. 08 Week. 3-5 workouts/wk. Phil's Novice RAPID FTP BOOSTER + Email Access to Coach. 10 Week. 3-5 workouts/wk. Phil's Novice RAPID FTP BOOSTER + Email Access to Coach. 12 Week. 3-5 workouts/wk. Phil's Novice RAPID FTP BOOSTER + Email Access to Coach. 14 Week. 3-5 workouts/wk. Phil's Novice RAPID FTP BOOSTER + Email Access to Coach. 16 Week. 3-5 workouts/wk. Phil's Novice RAPID FTP BOOSTER + Email Access to Coach. 18 Week. 3-5 workouts/wk. Phil's Novice RAPID FTP BOOSTER + Email Access to Coach. 20 Week. 3-5 workouts/wk. Phil's Novice RAPID FTP BOOSTER + Email Access to Coach. 24 Week. 3-5 workouts/wk. Phil's Novice RAPID FTP BOOSTER + Email Access to Coach. 28 Week. 3-5 workouts/wk. Phil's Novice RAPID FTP BOOSTER + Email Access to Coach. 32 Week. 3-5 workouts/wk. Phil's Novice RAPID FTP BOOSTER + Email Access to Coach. 36 Week. 3-5 workouts/wk. Phil's Novice RAPID FTP BOOSTER + Email Access to Coach. 40 Week. 3-5 workouts/wk. Phil's Advanced Duathlon 10/40/5km + Email Access to Coach. 06 Weeks (9:30-10:30 hrs/wk). Phil's Advanced Duathlon 10/40/5km + Email Access to Coach. 08 Weeks (9:15-10:30 hrs/wk). Phil's Advanced Duathlon 10/40/5km + Email Access to Coach. 10 Weeks (9:15-11 hrs/wk). Phil's Advanced Duathlon 10/40/5km + Email Access to Coach. 12 Weeks (9:15-11 hrs/wk). Phil's Advanced Duathlon 10/40/5km + Email Access to Coach. 14 Weeks (9:30-11 hrs/wk). Phil's Advanced Duathlon 10/40/5km + Email Access to Coach. 16 Weeks (9:30-11 hrs/wk). Phil's Advanced Duathlon 10/40/5km + Email Access to Coach. 18 Weeks (9-11 hrs/wk). Phil's Advanced Duathlon 10/40/5km + Email Access to Coach. 20 Weeks (9-11 hrs/wk). Phil's Advanced Duathlon 10/40/5km + Email Access to Coach. 24 Weeks (7:30-11 hrs/wk). Phil's Advanced Duathlon 10/40/5km + Email Access to Coach. 28 Weeks (7:30-11 hrs/wk). Phil's Advanced Duathlon 10/40/5km + Email Access to Coach. 32 Weeks (7-11 hrs/wk). Phil's Advanced Duathlon 10/40/5km + Email Access to Coach. 36 Weeks (6-11 hrs/wk). Phil's Advanced Duathlon 10/40/5km + Email Access to Coach. 40 Weeks (6-11 hrs/wk). Phil's Advanced Duathlon 5/20/2.5km + Email Access to Coach. 06 Weeks (8:30-9:15 hrs/wk). Phil's Advanced Duathlon 5/20/2.5km + Email Access to Coach. 08 Weeks (8:30-9:15 hrs/wk). Phil's Advanced Duathlon 5/20/2.5km + Email Access to Coach. 10 Weeks (8:45-9:30 hrs/wk). Phil's Advanced Duathlon 5/20/2.5km + Email Access to Coach. 12 Weeks (8:30-9:30 hrs/wk). Phil's Advanced Duathlon 5/20/2.5km + Email Access to Coach. 16 Weeks (7:30-9:30 hrs/wk). Phil's Advanced Duathlon 5/20/2.5km + Email Access to Coach. 18 Weeks (7:30-9:30 hrs/wk). Phil's Advanced Duathlon 5/20/2.5km + Email Access to Coach. 20 Weeks (7-9:30 hrs/wk). Phil's Advanced Duathlon 5/20/2.5km + Email Access to Coach. 24 Weeks (7-9:30 hrs/wk). Phil's Advanced Duathlon 5/20/2.5km + Email Access to Coach. 28 Weeks (7-9:30 hrs/wk). Phil's Advanced Duathlon 5/20/2.5km + Email Access to Coach. 32 Weeks (6-9:30 hrs/wk). Phil's Advanced Duathlon 5/20/2.5km + Email Access to Coach. 36 Weeks (5:30-9:30 hrs/wk). Phil's Advanced Duathlon 5/20/2.5km + Email Access to Coach. 40 Weeks (5-9:30 hrs/wk). Phil's Advanced Long-Distance Duathlon + Email Access to Coach. 08 Week. (11-11:45 hrs/wk). Phil's Advanced Long-Distance Duathlon + Email Access to Coach. 12 Week. (11-12:30 hrs/wk). Phil's Advanced Long-Distance Duathlon + Email Access to Coach. 10 Week. (11:30-12:30 hrs/wk). Phil's Advanced Long-Distance Duathlon + Email Access to Coach. 14 Week. (11-12:30 hrs/wk). Phil's Advanced Long-Distance Duathlon + Email Access to Coach. 16 Week. (11-12:30 hrs/wk). Phil's Advanced Long-Distance Duathlon + Email Access to Coach. 18 Week. (9:30-12:30 hrs/wk). Phil's Advanced Long-Distance Duathlon + Email Access to Coach. 20 Week. (9:30-12:30 hrs/wk). Phil's Advanced Long-Distance Duathlon + Email Access to Coach. 24 Week. (8:30-12:30 hrs/wk). Phil's Advanced Long-Distance Duathlon + Email Access to Coach. 32 Week. (8-12:30 hrs/wk). Phil's Advanced Long-Distance Duathlon + Email Access to Coach. 36 Week. (7-12:30 hrs/wk). Phil's Advanced Long-Distance Duathlon + Email Access to Coach. 40 Week. (6:30-12:30 hrs/wk). Phil's Intermediate Duathlon 10/40/5km + Email Access to Coach. 06 Weeks (6:30-8 hrs/wk). Phil's Intermediate Duathlon 10/40/5km + Email Access to Coach. 08 Weeks (6-8 hrs/wk). Phil's Intermediate Duathlon 10/40/5km + Email Access to Coach. 10 Weeks (6-8 hrs/wk). Phil's Intermediate Duathlon 10/40/5km + Email Access to Coach. 12 Weeks (6-8 hrs/wk). Phil's Intermediate Duathlon 10/40/5km + Email Access to Coach. 14 Weeks (6-8 hrs/wk). Phil's Intermediate Duathlon 10/40/5km + Email Access to Coach. 16 Weeks (6-8 hrs/wk). Phil's Intermediate Duathlon 10/40/5km + Email Access to Coach. 18 Weeks (6-8 hrs/wk). Phil's Intermediate Duathlon 10/40/5km + Email Access to Coach. 20 Weeks (6-8 hrs/wk). Phil's Intermediate Duathlon 10/40/5km + Email Access to Coach. 24 Weeks (6-8 hrs/wk). Phil's Intermediate Duathlon 10/40/5km + Email Access to Coach. 28 Weeks (5:30-8 hrs/wk). Phil's Intermediate Duathlon 10/40/5km + Email Access to Coach. 32 Weeks (4:30-8 hrs/wk). Phil's Intermediate Duathlon 10/40/5km + Email Access to Coach. 36 Weeks (4:30-8 hrs/wk). Phil's Intermediate Duathlon 10/40/5km + Email Access to Coach. 40 Weeks (4:30-8 hrs/wk). Phil's Intermediate Duathlon 5/20/2.5km + Email Access to Coach. 06 Weeks (6:15-7 hrs/wk). Phil's Intermediate Duathlon 5/20/2.5km + Email Access to Coach. 08 Weeks (6-7 hrs/wk). Phil's Intermediate Duathlon 5/20/2.5km + Email Access to Coach. 10 Weeks (5:45-7 hrs/wk). Phil's Intermediate Duathlon 5/20/2.5km + Email Access to Coach. 12 Weeks (5:30-7 hrs/wk). Phil's Intermediate Duathlon 5/20/2.5km + Email Access to Coach. 14 Weeks (5:30-7 hrs/wk). Phil's Intermediate Duathlon 5/20/2.5km + Email Access to Coach. 16 Weeks (5:15-7 hrs/wk). Phil's Intermediate Duathlon 5/20/2.5km + Email Access to Coach. 18 Weeks (5-7 hrs/wk). Phil's Intermediate Duathlon 5/20/2.5km + Email Access to Coach. 20 Weeks (5-7 hrs/wk). Phil's Intermediate Duathlon 5/20/2.5km + Email Access to Coach. 24 Weeks (5-7 hrs/wk). Phil's Intermediate Duathlon 5/20/2.5km + Email Access to Coach. 28 Weeks (5-7 hrs/wk). Phil's Intermediate Duathlon 5/20/2.5km + Email Access to Coach. 32 Weeks (4:30-7 hrs/wk). Phil's Intermediate Duathlon 5/20/2.5km + Email Access to Coach. 36 Weeks (4-7 hrs/wk). Phil's Intermediate Duathlon 5/20/2.5km + Email Access to Coach. 40 Weeks (4-7 hrs/wk). Phil's Intermediate Long-Distance Duathlon + Email Access to Coach. 08 Week. (9:30-10:30 hrs/wk). Phil's Intermediate Long-Distance Duathlon + Email Access to Coach. 10 Week. (8:30-10:30 hrs/wk). Phil's Intermediate Long-Distance Duathlon + Email Access to Coach. 12 Week. (8-10:30 hrs/wk). Phil's Intermediate Long-Distance Duathlon + Email Access to Coach. 14 Week. (7-10:30 hrs/wk). Phil's Intermediate Long-Distance Duathlon + Email Access to Coach. 16 Week. (7-10:30 hrs/wk). Phil's Intermediate Long-Distance Duathlon + Email Access to Coach. 20 Week. (6:30-10:30 hrs/wk). Phil's Intermediate Long-Distance Duathlon + Email Access to Coach. 24 Week. (6:30-10:30 hrs/wk). Phil's Intermediate Long-Distance Duathlon + Email Access to Coach. 28 Week. (6:30-10:30 hrs/wk). Phil's Intermediate Long-Distance Duathlon + Email Access to Coach. 32 Week. (5:30-10:30 hrs/wk). Phil's Intermediate Long-Distance Duathlon + Email Access to Coach. 36 Week. (5:30-10:30 hrs/wk). Phil's Novice Duathlon 10/40/5km + Email Access to Coach. 06 Weeks (4:30-6 hrs/wk). Phil's Novice Duathlon 10/40/5km + Email Access to Coach. 08 Weeks (4-6 hrs/wk). Phil's Novice Duathlon 10/40/5km + Email Access to Coach. 12 Weeks (4-6 hrs/wk). Phil's Novice Duathlon 10/40/5km + Email Access to Coach. 14 Weeks (3-6 hrs/wk). Phil's Novice Duathlon 10/40/5km + Email Access to Coach. 16 Weeks (3-6 hrs/wk). Phil's Novice Duathlon 10/40/5km + Email Access to Coach. 18 Weeks (3-6 hrs/wk). Phil's Novice Duathlon 10/40/5km + Email Access to Coach. 20 Weeks (3-6 hrs/wk). Phil's Novice Duathlon 10/40/5km + Email Access to Coach. 24 Weeks (3-6 hrs/wk). Phil's Novice Duathlon 10/40/5km + Email Access to Coach. 28 Weeks (3-6 hrs/wk). Phil's Novice Duathlon 10/40/5km + Email Access to Coach. 32 Weeks (3-6 hrs/wk). Phil's Novice Duathlon 10/40/5km + Email Access to Coach. 36 Weeks (3-6 hrs/wk). Phil's Novice Duathlon 10/40/5km + Email Access to Coach. 40 Weeks (3-6 hrs/wk). Phil's Novice Duathlon 5/20/2.5KM + Email Access to Coach. 10 Weeks (3:45-5:30 hrs/wk). Phil's Novice Duathlon 5/20/2.5km + Email Access to Coach. 06 Weeks (4:30-5:15 hrs/wk). Phil's Novice Duathlon 5/20/2.5km + Email Access to Coach. 08 Weeks (4-5:15 hrs/wk). Phil's Novice Duathlon 5/20/2.5km + Email Access to Coach. 12 Weeks (3:30-5:30 hrs/wk). Phil's Novice Duathlon 5/20/2.5km + Email Access to Coach. 14 Weeks (2:30-5:30 hrs/wk). Phil's Novice Duathlon 5/20/2.5km + Email Access to Coach. 16 Weeks (2:30-5:30 hrs/wk). Phil's Novice Duathlon 5/20/2.5km + Email Access to Coach. 18 Weeks (2:30-5:30 hrs/wk). Phil's Novice Duathlon 5/20/2.5km + Email Access to Coach. 20 Weeks (2:30-5:30 hrs/wk). Phil's Novice Duathlon 5/20/2.5km + Email Access to Coach. 24 Weeks (2:30-5:30 hrs/wk). Phil's Novice Duathlon 5/20/2.5km + Email Access to Coach. 28 Weeks (2:30-5:30 hrs/wk). Phil's Novice Duathlon 5/20/2.5km + Email Access to Coach. 32 Weeks (2:30-5:30 hrs/wk). Phil's Novice Duathlon 5/20/2.5km + Email Access to Coach. 36 Weeks (2:30-5:30 hrs/wk). Phil's Novice Duathlon 5/20/2.5km + Email Access to Coach. 40 Weeks (2:30-5:30 hrs/wk). Phil's Novice Duathlon Long-Distance Duathlon + Email Access to Coach. 24 Week. (3:30-8:30 hrs/wk). Phil's Novice Duathlon Long-Distance Duathlon + Email Access to Coach. 28 Week. (3:30-8:30 hrs/wk). Phil's Novice Duathlon Long-Distance Duathlon + Email Access to Coach. 36 Week. (3:30-8:30 hrs/wk). Phil's Novice Duathlon Long-Distance Duathlon + Email Access to Coach. 40 Week. (3:30-8:30 hrs/wk). Phil's Novice Long-Distance Duathlon + Email Access to Coach. 08 Week. (6:30-8:30 hrs/wk). Phil's Novice Long-Distance Duathlon + Email Access to Coach. 10 Week. (7-8:30 hrs/wk). Phil's Novice Long-Distance Duathlon + Email Access to Coach. 12 Week. (6-8:30 hrs/wk). Phil's Novice Long-Distance Duathlon + Email Access to Coach. 14 Weeks (6-8:30 hrs/wk). Phil's Novice Long-Distance Duathlon + Email Access to Coach. 16 Weeks (6-8:30 hrs/wk). Phil's Novice Long-Distance Duathlon + Email Access to Coach. 18 Week. (4-8:30 hrs/wk). Phil's Novice Long-Distance Duathlon + Email Access to Coach. 20 Week. (4-8:30 hrs/wk). Phil's Off-Season Maintenance: Long Distance Duathlon + Email Access to Coach. 04 Wks. 5 hrs p/wk. Phil's Off-Season Maintenance: Long Distance Duathlon + Email Access to Coach. 12 Wks. 4-5 hrs p/wk. Phil's Off-Season Maintenance: Sprint Duathlon + Email Access to Coach. 04 Wks. 3:30 hr p/wk. Phil's Off-Season Maintenance: Sprint Duathlon + Email Access to Coach. 12 Wks. 2:30-3:30 hrs p/wk. Phil's Off-Season Maintenance: Standard Duathlon + Email Access to Coach. 04 Wks. 4hrs p/wk. Phil's Off-Season Maintenance: Standard Duathlon + Email Access to Coach. 08 Wks. 3:30-4 hrs p/wk. Phil's Off-Season Maintenance: Standard Duathlon + Email Access to Coach. 12 Wks. 3-4 hrs p/wk. Phil's Advanced 10K Plan + Email Access to Coach. 04 week. 5-7 workouts per wk. Phil's Advanced 10K Plan + Email Access to Coach. 06 week. 5-7 workouts per wk. Phil's Advanced 10K Plan + Email Access to Coach. 08 week. 5-7 workouts per wk. Phil's Advanced 10K Plan + Email Access to Coach. 10 week. 5-7 workouts per wk. Phil's Advanced 10K Plan + Email Access to Coach. 12 week. 5-7 workouts per wk. Phil's Advanced 10K Plan + Email Access to Coach. 14 week. 5-7 workouts per wk. Phil's Advanced 10K Plan + Email Access to Coach. 16 week. 5-7 workouts per wk. Phil's Advanced 10K Plan + Email Access to Coach. 18 week. 5-7 workouts per wk. Phil's Advanced 10K Plan + Email Access to Coach. 20 week. 5-7 workouts per wk. Phil's Advanced 10K Plan + Email Access to Coach. 24 week. 5-7 workouts per wk. Phil's Advanced 10K Plan + Email Access to Coach. 28 week. 5-7 workouts per wk. Phil's Advanced 10K Plan + Email Access to Coach. 32 week. 5-7 workouts per wk. Phil's Advanced 10K Plan + Email Access to Coach. 36 week. 5-7 workouts per wk. Phil's Advanced 10K Plan + Email Access to Coach. 40 week. 5-7 workouts per wk. Phil's Intermediate 10K Plan + Email Access to Coach. 04 week. 4-6 workouts per wk. Phil's Intermediate 10K Plan + Email Access to Coach. 08 week. 4-6 workouts per wk. Phil's Intermediate 10K Plan + Email Access to Coach. 10 week. 4-6 workouts per wk. Phil's Intermediate 10K Plan + Email Access to Coach. 12 week. 4-6 workouts per wk. Phil's Intermediate 10K Plan + Email Access to Coach. 14 week. 4-6 workouts per wk. Phil's Intermediate 10K Plan + Email Access to Coach. 16 week. 4-6 workouts per wk. Phil's Intermediate 10K Plan + Email Access to Coach. 18 week. 4-6 workouts per wk. Phil's Intermediate 10K Plan + Email Access to Coach. 20 week. 4-6 workouts per wk. Phil's Intermediate 10K Plan + Email Access to Coach. 24 week. 4-6 workouts per wk. Phil's Intermediate 10K Plan + Email Access to Coach. 28 week. 4-6 workouts per wk. Phil's Intermediate 10K Plan + Email Access to Coach. 32 week. 4-6 workouts per wk. Phil's Intermediate 10K Plan + Email Access to Coach. 36 week. 4-6 workouts per wk. Phil's Intermediate 10K Plan + Email Access to Coach. 40 week. 4-6 workouts per wk. Phil's Novice 10K Plan + Email Access to Coach. 06 week. 3-5 workouts per wk. Phil's Novice 10K Plan + Email Access to Coach. 08 week. 3-5 workouts per wk. Phil's Novice 10K Plan + Email Access to Coach. 12 week. 3-5 workouts per wk. Phil's Novice 10K Plan + Email Access to Coach. 14 week. 3-5 workouts per wk. Phil's Novice 10K Plan + Email Access to Coach. 16 week. 3-5 workouts per wk. Phil's Novice 10K Plan + Email Access to Coach. 18 week. 3-5 workouts per wk. Phil's Novice 10K Plan + Email Access to Coach. 20 week. 3-5 workouts per wk. Phil's Novice 10K Plan + Email Access to Coach. 24 week. 3-5 workouts per wk. Phil's Novice 10K Plan + Email Access to Coach. 28 week. 3-5 workouts per wk. Phil's Novice 10K Plan + Email Access to Coach. 32 week. 3-5 workouts per wk. Phil's Novice 10K Plan + Email Access to Coach. 36 week. 3-5 workouts per wk. Phil's Novice 10K Plan + Email Access to Coach. 40 week. 3-5 workouts per wk. Phil's Advanced Half Marathon Plan + Email Access to Coach. 06 week. 6-7 workouts per wk. Phil's Advanced Half Marathon Plan + Email Access to Coach. 08 week. 6-7 workouts per wk. Phil's Advanced Half Marathon Plan + Email Access to Coach. 10 week. 6-7 workouts per wk. Phil's Advanced Half Marathon Plan + Email Access to Coach. 12 week. 6-7 workouts per wk. Phil's Advanced Half Marathon Plan + Email Access to Coach. 14 week. 6-7 workouts per week. Phil's Advanced Half Marathon Plan + Email Access to Coach. 16 week. 6-7 workouts per wk. Phil's Advanced Half Marathon Plan + Email Access to Coach. 18 week. 6-7 workouts per wk. Phil's Advanced Half Marathon Plan + Email Access to Coach. 20 week. 6-7 workouts per wk. Phil's Advanced Half Marathon Plan + Email Access to Coach. 24 week. 6-7 workouts per wk. Phil's Advanced Half Marathon Plan + Email Access to Coach. 28 week. 6-7 workouts per wk. Phil's Advanced Half Marathon Plan + Email Access to Coach. 32 week. 6-7 workouts per wk. Phil's Advanced Half Marathon Plan + Email Access to Coach. 36 week. 6-7 workouts per wk. Phil's Advanced Half Marathon Plan + Email Access to Coach. 40 week. 6-7 workouts per wk. Phil's Intermediate Half Marathon Plan + Email Access to Coach. 06 week. 5-6 workouts per wk. Phil's Intermediate Half Marathon Plan + Email Access to Coach. 08 week. 5-6 workouts per wk. Phil's Intermediate Half Marathon Plan + Email Access to Coach. 12 week. 5-6 workouts per wk. Phil's Intermediate Half Marathon Plan + Email Access to Coach. 14 week. 5-6 workouts per week. Phil's Intermediate Half Marathon Plan + Email Access to Coach. 16 week. 5-6 workouts per wk. Phil's Intermediate Half Marathon Plan + Email Access to Coach. 18 week. 5-6 workouts per wk. Phil's Intermediate Half Marathon Plan + Email Access to Coach. 20 week. 5-6 workouts per wk. Phil's Intermediate Half Marathon Plan + Email Access to Coach. 24 week. 5-6 workouts per wk. Phil's Intermediate Half Marathon Plan + Email Access to Coach. 28 week. 5-6 workouts per wk. Phil's Intermediate Half Marathon Plan + Email Access to Coach. 32 week. 5-6 workouts per wk. Phil's Intermediate Half Marathon Plan + Email Access to Coach. 36 week. 5-6 workouts per wk. Phil's Intermediate Half Marathon Plan + Email Access to Coach. 40 week. 5-6 workouts per wk. Phil's Novice Half Marathon Plan + Email Access to Coach. 06 week. 4-5 workouts per wk. Phil's Novice Half Marathon Plan + Email Access to Coach. 08 week. 4-5 workouts per wk. Phil's Novice Half Marathon Plan + Email Access to Coach. 10 week. 4-5 workouts per wk. Phil's Novice Half Marathon Plan + Email Access to Coach. 12 week. 4-5 workouts per wk. Phil's Novice Half Marathon Plan + Email Access to Coach. 14 week. 4-5 workouts per wk. Phil's Novice Half Marathon Plan + Email Access to Coach. 16 week. 4-5 workouts per wk. Phil's Novice Half Marathon Plan + Email Access to Coach. 18 week. 4-5 workouts per wk. Phil's Novice Half Marathon Plan + Email Access to Coach. 20 week. 4-5 workouts per wk. Phil's Novice Half Marathon Plan + Email Access to Coach. 24 week. 4-5 workouts per wk. Phil's Novice Half Marathon Plan + Email Access to Coach. 28 week. 4-5 workouts per wk. Phil's Novice Half Marathon Plan + Email Access to Coach. 32 week. 4-5 workouts per wk. Phil's Novice Half Marathon Plan + Email Access to Coach. 36 week. 4-5 workouts per wk. Phil's Novice Half Marathon Plan + Email Access to Coach. 40 week. 4-5 workouts per wk. Phil's Advanced Marathon Plan + Email Access to Coach. 08 week. 6-7 workouts per wk. Phil's Advanced Marathon Plan + Email Access to Coach. 10 Week. 6-7 workouts p/wk. Phil's Advanced Marathon Plan + Email Access to Coach. 12 Week. 6-7 workouts p/wk. Phil's Advanced Marathon Plan + Email Access to Coach. 14 week. 6-7 workouts per wk. Phil's Advanced Marathon Plan + Email Access to Coach. 16 week. 6-7 workouts per wk. Phil's Advanced Marathon Plan + Email Access to Coach. 18 week. 6-7 workouts per wk. Phil's Advanced Marathon Plan + Email Access to Coach. 20 week. 6-7 workouts per wk. Phil's Advanced Marathon Plan + Email Access to Coach. 24 week. 6-7 workouts per wk. Phil's Advanced Marathon Plan + Email Access to Coach. 28 week. 6-7 workouts per wk. Phil's Advanced Marathon Plan + Email Access to Coach. 32 week. 6-7 workouts per wk. Phil's Advanced Marathon Plan + Email Access to Coach. 36 week. 6-7 workouts per wk. Phil's Intermediate Marathon Plan + Email Access to Coach. 08 Weeks. 5-6 workouts per wk. Phil's Intermediate Marathon Plan + Email Access to Coach. 12 week. 5-6 workouts per wk. Phil's Intermediate Marathon Plan + Email Access to Coach. 14 week. 5-6 workouts per wk. Phil's Intermediate Marathon Plan + Email Access to Coach. 18 week. 5-6 workouts per wk. Phil's Intermediate Marathon Plan + Email Access to Coach. 20 week. 5-6 workouts per wk. Phil's Intermediate Marathon Plan + Email Access to Coach. 24 week. 5-6 workouts per wk. Phil's Intermediate Marathon Plan + Email Access to Coach. 28 week. 5-6 workouts per wk. Phil's Intermediate Marathon Plan + Email Access to Coach. 32 week. 5-6 workouts per wk. Phil's Intermediate Marathon Plan + Email Access to Coach. 36 week. 5-6 workouts per wk. Phil's Intermediate Marathon Plan + Email Access to Coach. 40 week. 5-6 workouts per wk. Phil's Novice Marathon Plan + Email Access to Coach. 10 week. 4-5 workouts per wk. Phil's Novice Marathon Plan + Email Access to Coach. 12 week. 4-5 workouts per wk. Phil's Novice Marathon Plan + Email Access to Coach. 16 week. 4-5 workouts per wk. Phil's Novice Marathon Plan + Email Access to Coach. 18 week. 4-5 workouts per wk. Phil's Novice Marathon Plan + Email Access to Coach. 20 week. 4-5 workouts per wk. Phil's Novice Marathon Plan + Email Access to Coach. 24 week. 4-5 workouts per wk. Phil's Novice Marathon Plan + Email Access to Coach. 28 week. 4-5 workouts per wk. Phil's Novice Marathon Plan + Email Access to Coach. 32 week. 4-5 workouts per wk. Phil's Novice Marathon Plan + Email Access to Coach. 36 week. 4-5 workouts per wk. Phil's Novice Marathon Plan + Email Access to Coach. 40 week. 4-5 workouts per wk. Phil's Advanced 60-100K Ultra Marathon Plan + Email Access to Coach. 12 week. 6-7 workouts/wk. Phil's Advanced 60-100K Ultra Marathon Plan + Email Access to Coach. 14 week. 6-7 workouts/wk. Phil's Advanced 60-100K Ultra Marathon Plan + Email Access to Coach. 16 week. 6-7 workouts/wk. Phil's Advanced 60-100K Ultra Marathon Plan + Email Access to Coach. 18 week. 6-7 workouts/wk. Phil's Advanced 60-100K Ultra Marathon Plan + Email Access to Coach. 20 week. 6-7 workouts/wk. Phil's Advanced 60-100K Ultra Marathon Plan + Email Access to Coach. 24 week. 6-7 workouts/wk. Phil's Advanced 60-100K Ultra Marathon Plan + Email Access to Coach. 28 week. 6-7 workouts/wk. Phil's Advanced 60-100K Ultra Marathon Plan + Email Access to Coach. 32 week. 6-7 workouts/wk. Phil's Advanced 60-100K Ultra Marathon Plan + Email Access to Coach. 36 week. 6-7 workouts/wk. Phil's Advanced 60-100K Ultra Marathon Plan + Email Access to Coach. 40 week. 6-7 workouts/wk. Phil's Intermediate 60-100K Ultra Marathon Plan + Email Access to Coach. 12 week. 5-6 workouts/wk. Phil's Intermediate 60-100K Ultra Marathon Plan + Email Access to Coach. 16 week. 5-6 workouts/wk. Phil's Intermediate 60-100K Ultra Marathon Plan + Email Access to Coach. 18 week. 5-6 w/outs p/wk. Phil's Intermediate 60-100K Ultra Marathon Plan + Email Access to Coach. 20 week. 5-6 workouts/wk. Phil's Intermediate 60-100K Ultra Marathon Plan + Email Access to Coach. 24 week. 5-6 workouts/wk. Phil's Intermediate 60-100K Ultra Marathon Plan + Email Access to Coach. 28 week. 5-6 workouts/wk. Phil's Intermediate 60-100K Ultra Marathon Plan + Email Access to Coach. 32 week. 5-6 workouts/wk. Phil's Intermediate 60-100K Ultra Marathon Plan + Email Access to Coach. 36 week. 5-6 workouts/wk. Phil's Intermediate 60-100K Ultra Marathon Plan + Email Access to Coach. 40 week. 5-6 workouts/wk. Phil's Novice 60-100K Ultra Marathon Plan + Email Access to Coach. 12 week. 4-5 workouts/wk. Phil's Novice 60-100K Ultra Marathon Plan + Email Access to Coach. 16 week. 4-5 workouts/wk. Phil's Novice 60-100K Ultra Marathon Plan + Email Access to Coach. 20 week. 4-5 workouts/wk. Phil's Novice 60-100K Ultra Marathon Plan + Email Access to Coach. 24 week. 4-5 workouts/wk. Phil's Novice 60-100K Ultra Marathon Plan + Email Access to Coach. 28 week. 4-5 workouts/wk. Phil's Novice 60-100K Ultra Marathon Plan + Email Access to Coach. 32 week. 4-5 workouts/wk. Phil's Novice 60-100K Ultra Marathon Plan + Email Access to Coach. 36 week. 4-5 workouts/wk. Phil's Novice 60-100K Ultra Marathon Plan + Email Access to Coach. 40 week. 4-5 workouts/wk. Phil's BASE TO RACE Advanced IRONMAN 140.6 + Email Access to Coach. 36 Weeks (7:30-16:30 hrs/wk). Phil's BASE TO RACE Advanced IRONMAN 140.6 + Email Access to Coach. 24 Weeks (13-16:30 hrs/wk). Phil's BASE TO RACE Advanced IRONMAN 140.6 + Email Access to Coach. 28 Weeks (12-16:30 hrs/wk). Phil's BASE TO RACE Advanced IRONMAN 140.6 + Email Access to Coach. 32 Weeks (11-16:30 hrs/wk). Phil's BASE TO RACE Advanced IRONMAN 140.6 + Email Access to Coach. 40 Weeks (7-16:30 hrs/wk). Phil's BASE TO RACE Advanced IRONMAN 140.6 + Email Access to Coach. 44 Weeks (7-16:30 hrs/wk). Phil's BASE TO RACE Advanced IRONMAN 140.6 + Email Access to Coach. 48 Weeks (7-16:30 hrs/wk). Phil's BASE TO RACE Advanced IRONMAN 70.3 + Email Access to Coach. 24 Weeks (11:30-13:30 hrs/wk). Phil's BASE TO RACE Advanced IRONMAN 70.3 + Email Access to Coach. 28 Weeks (11-13:30 hrs/wk). Phil's BASE TO RACE Advanced IRONMAN 70.3 + Email Access to Coach. 32 Weeks (10-13:30 hrs/wk). Phil's BASE TO RACE Advanced IRONMAN 70.3 + Email Access to Coach. 40 Weeks (8-13:30 hrs/wk). Phil's BASE TO RACE Advanced IRONMAN 70.3 + Email Access to Coach. 44 Weeks (7:30-13:30 hrs/wk). Phil's BASE TO RACE Advanced IRONMAN 70.3 + Email Access to Coach. 48 Weeks (7-13:30 hrs/wk). Phil's BASE TO RACE Intermediate IRONMAN 140.6 + Email Access to Coach. 24 Weeks (10-14 hrs/wk). Phil's BASE TO RACE Intermediate IRONMAN 140.6 + Email Access to Coach. 28 Weeks (10-14 hrs/wk). Phil's BASE TO RACE Intermediate IRONMAN 140.6 + Email Access to Coach. 32 Weeks (9:30-14 hrs/wk). Phil's BASE TO RACE Intermediate IRONMAN 140.6 + Email Access to Coach. 36 Weeks (9-14 hrs/wk). Phil's BASE TO RACE Intermediate IRONMAN 140.6 + Email Access to Coach. 40 Weeks (8-14 hrs/wk). Phil's BASE TO RACE Intermediate IRONMAN 140.6 + Email Access to Coach. 44 Weeks (7-14 hrs/wk). Phil's BASE TO RACE Intermediate IRONMAN 70.3 + Email Access to Coach. 24 Weeks (8:20-12 hrs/wk). Phil's BASE TO RACE Intermediate IRONMAN 70.3 + Email Access to Coach. 28 Weeks (8:30-12 hrs/wk). Phil's BASE TO RACE Intermediate IRONMAN 70.3 + Email Access to Coach. 32 Weeks (8-12 hrs/wk). Phil's BASE TO RACE Intermediate IRONMAN 70.3 + Email Access to Coach. 36 Weeks (6-12 hrs/week). Phil's BASE TO RACE Intermediate IRONMAN 70.3 + Email Access to Coach. 40 Weeks (5:30-12 hrs/wk). Phil's BASE TO RACE Intermediate IRONMAN 70.3 + Email Access to Coach. 44 Weeks (5-12 hrs/wk). Phil's BASE TO RACE Intermediate IRONMAN 70.3 + Email Access to Coach. 48 Weeks (5-12 hrs/wk). Phil's BASE TO RACE Novice IRONMAN 140.6 + Email Access to Coach. 24 Weeks (8-14 hrs/wk). Phil's BASE TO RACE Novice IRONMAN 140.6 + Email Access to Coach. 28 Weeks (7:30-14 hrs/wk). Phil's BASE TO RACE Novice IRONMAN 140.6 + Email Access to Coach. 32 Weeks (6:30-14 hrs/wk). Phil's BASE TO RACE Novice IRONMAN 140.6 + Email Access to Coach. 36 Weeks (6-14 hrs/wk). Phil's BASE TO RACE Novice IRONMAN 140.6 + Email Access to Coach. 40 Weeks (5:30-14 hs/wk). Phil's BASE TO RACE Novice IRONMAN 140.6 + Email Access to Coach. 44 Weeks (5-14 hrs/wk).